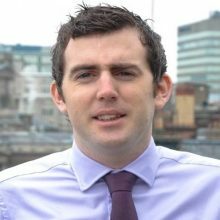 Gearoid graduated with a degree in accountancy & finance in 2006 and secured employment in practice the same year. Following his training with an accountancy firm in Ireland he qualified with the ICAI in 2009 and relocated to Liverpool in 2012. Gearoid has over 8 years’ experience in the accounts preparation and audits of small to medium sized companies, charities and limited liability practices. He also supports clients with monthly management reporting and forecasting.